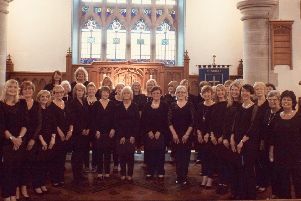 The internationally acclaimed Toccata choir will be perforning at First Carrickfergus Presbyterian Church. The Toccata international choir will be visiting First Carrickfergus Presbyterian Church on Sunday February 24 for a performance at 4.00 pm. The choir will be performing music from gospel, country, pop, rock and opera. An offering will be taken to support the choir’s charity work in Sri Lanka and India.